We have some exciting news to share. Our Andean corridor program, which is connecting habitats and communities to conserve a biodiversity hotspot, has been named a Classy Awards Finalist. We are in excellent company, among the 100 most innovative nonprofits and social enterprises of 2016! We couldn’t be more excited to share this news with our donors and friends – thank you for making our work possible. 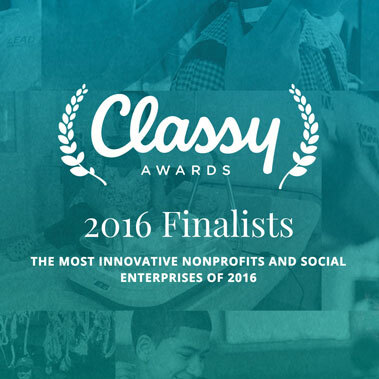 The Classy Awards Finalists are a prestigious group of nonprofits and social enterprises selected for their excellence in social innovation and ability to solve a social problem. This year, Classy had 1,300 programs across all cause categories submit nominations, and the competition was at an all-time high. The application process was rigorous and intensive, and we were judged using stringent criteria that assesses an organization’s potential to solve a problem and innovative solution. Our program, along with the 99 other Finalists, is now in the running to become a Winner. Our fate is being passed on to the Leadership Council, a diverse board of experts and thought leaders who will collectively vote to determine the 10 Classy Award Winners. So what’s next? Becoming a Classy Awards Finalist means we’ll be traveling to Boston this June 14-16 for the Collaborative + Classy Awards, the largest social innovation event of the year. We’ll have the opportunity to meet and mingle with some amazing people, like leaders from the United Nations Foundation, Bill & Melinda Gates Foundation, Echoing Green, charity:water, and many more. The event ends with the Classy Awards, where the 10 Winners are announced live on stage. Stayed tuned for our journey to the Classy Awards!